The Matt Foley Guide to Motivating the People Who Matter Most ~ HELLO, my name is Blog! 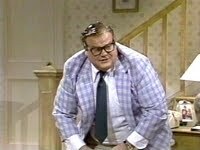 I blame it all on Chris Farley. His Saturday Night Live character, Matt Foley, convinced us that a boisterous man in a plaid blazer, hopped up on twelve cups of coffee – who lived in a van down by the river – could motivate another human being. TURNS OUT: You can’t motivate anybody to do anything. All you can do is inspire them to motivate themselves. 1. Compassionately take people’s hiding places away from them. For the past fifteen years, I’ve been fortunate enough to have a galaxy of mentors who do this for me on a regular basis. Every time we get together, they dive into my sea of unspoken emotional needs. And I always thank them for inspiring me to plunge into the depths I know I need to address. By doing so, you bring the dark parts stage center. And you create a quiet, inviting and trustworthy space that focuses on what bids people not to look at themselves. Ultimately, doing so inspires people to motivate themselves for several reasons. First, you show that you forgive their illusions – but refuse to let them forget them. Second, you close the gap between their sense to know and their strength to do. And finally, you reach into people’s hearts and touch them where they live. One caveat: If you plan to take people’s hiding places away from them, never do so at the expense of respect. It’s cool to call people out on the carpet, but not to the extent that you rug burn their heart. Inspiration is a symphony conducted in the spirit of love and the key of respect. Are you letting people get away with not having to face something again? 2. Recognize when inspiration isn’t sufficient. I once bought my girlfriend an elliptical. Huge mistake. She used it four times. Other that, its main function was to serve as a clothesline. Money well spent, I know. Eventually, I realized that her lack of motivation didn’t stem from a lack of equipment – it stemmed from a lack of commitment. Exercise simply wasn’t something she valued. Her health was not a priority. And there was nothing I could do to change that. No matter how hard I tried. No matter how many books I read. And no matter how inspiring I was in my own fitness regiment. People don’t change just because you want them to. They change because they want to. They change because the pain to stay the same is greater. And part of your job as a leader is to discern whether or not it’s worth investing the effort. Especially when it comes to non-believers. Because in my experience, converting atheists is an exercise in futility. As my friend Joe once told me, “You can either change people – or change people.” The choice is yours. What are you killing yourself over that isn’t going to change regardless? Delivering constant criticism, raising your voice, magnifying their mistakes, exhibiting lack of trust, prohibiting any shred of playfulness, making people feel powerless, refusing to recognize success and compensating less for working more. My suggestion is: Make your own list. Get into the minds of your employees, customers, members, students, children or whomever you hope to inspire. Next, make a list of their twenty biggest demotivators. Hell, ask them if you have to. Finally, keep this list posted above your computer. Look at it every day. Ultimately, by counterintuitively defining the whitespace around your people’s motivation, you’ll be able to delete the barriers and fill them with inspiration of the opposite. What is the one comment you could make that would absolutely freeze any spark of action? 4. Passion is the great prioritizer. When passion is involved, the rules change: The shy become outgoing, the introverted become assertive, the disconnected become engaged. Passion makes decisions easier. And regardless of what that passion is, people will use it as their barometer, compass, map and walking stick. Your mission is to let it lead the way. *What would you suffer for to do? *What would cause you suffering if you did not do? Turns out that Carson, the marketing director, loved to write. But Rachel, his boss, had no idea. After an honest and open discussion, they decided to put his passion to use. Rachel made him editor of the company newsletter. And Carson was more motivated than ever. That’s the best part about introducing passion into the motivation equation: People arrive at their destination faster, better, with more fun and by their own design. Do you know what’s under your people’s fingernails? REMEMBER: All motivation is self-motivation. As a leader, you can’t motive people to do anything – all you can do is inspire them to motivate themselves. Otherwise you’ll end up living in van down by the river. Are you motivating or inspiring? For the list called, "22 Unexpected Ways to Help People," send an email to me, and you win the list for free!